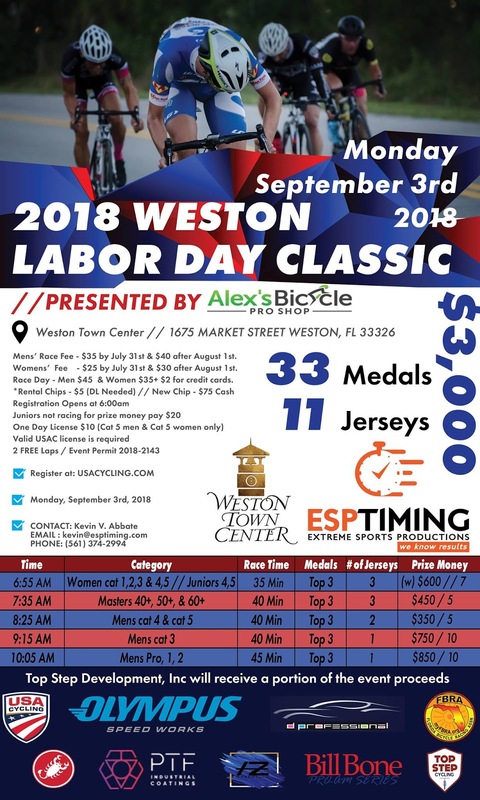 "The Weston Labor Day Classic is being presented by Alex’s Bicycles Pro Shop and will support the Top Step Development not for profit to improve juniors cycling. You will have the opportunity to also donate to the team on race day and online. Prize money is $3000. This is a .7 mile 10 turn corner criterium course through the Weston Town Center. The race will have to start early because we have to have all categories off the roads by 11am. The Castelli Custom Hospitality Tent will be set up and ready to support riders at this race. To gain access to the advantages you just have to be wearing Castelli Custom apparel."